When you have two different objects that are called by the same name that is called a homograph. That is what this is. 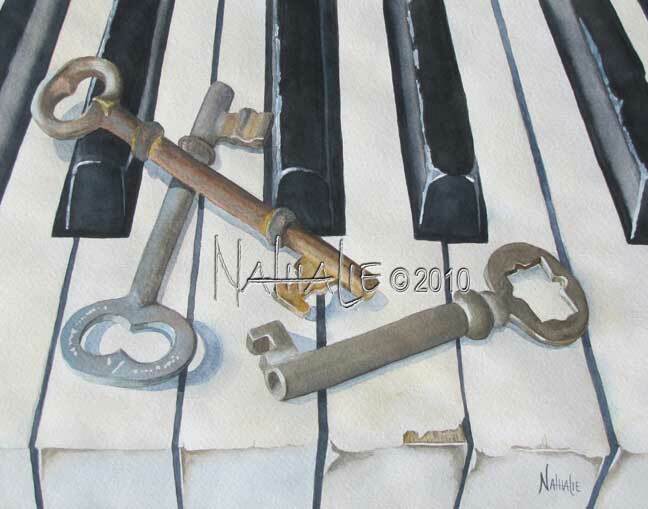 Old piano keys and old house keys. I love the signs of wear on the piano. There is probably nothing more satisfying than something being used to fulfill it's purpose. The piano keys may be old and beat up but the sounds they release are in tune. The other keys also show signs of wear. They were used for release and security. God has given you your own keys for release and security no matter how old or outdated. Give them a try.